This is sometimes a sensitive subject as some people prefer not to chat about money. But in the blogging world, we think it’s important to be more transparent as we navigate this new industry that has minimal boundaries. We’re only as strong as our weakest link and the more information out there about pricing yourself and knowing how to quantify your work is key. 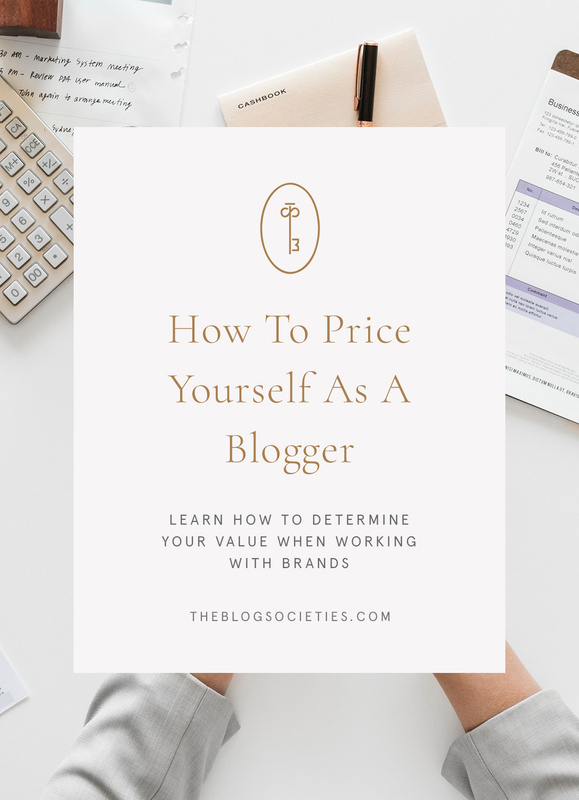 The hot topic of how to price yourself comes up often and today we want to share our guidelines to finding what’s right to charge for you and your business. This is not always the rate you should be charging, but simply a guide to show you how to generally find a rate that works for you. There will always be exceptions to the rule, outliers and unique situations. But overall, we find this tends to be pretty accurate across the board when we’ve asked our peers and experts in the industry. A standard blog post includes one blog post with one round of social media (i.e. posting on your top social platforms: Instagram, Twitter and/or Facebook). But first let’s break down just the blog post. A general rule to finding what you should charge just for a blog post (no social) is around $100 for every 10,000 pageviews your blog receives. We recommend using Google Analytics to find this and use the average of the last 3 months. If you roughly receive 50k pageviews per month, we recommend charging around $500 for a blog post. Again this is JUST a guide. Other things will go into your overall rate like social media, image rights, props, the scope of work and timeline. But knowing you’re at around $500 for this you can then increase based on these variables. The same rule applies here for every 10,000 followers, you should charge roughly $100. If you have 30,000 Instagram followers, you’ll want to try to get around $300 or so for your sponsored posts. Other variables may come into play here that affect your rate so always keep that in mind. To figure out your one blog post with one round of supporting social rate, which we find to be the most common blogging campaign, you’ll want to combine everything together. See below for an example. This is a combined reach of 95,000 followers and views. So roughly, you’ll want to charge around $950 for a sponsored post with one round of social. We typically find that this is the middle of the road where you want to fall. We always recommend aiming high as you can always negotiate down. Like we mentioned, there are many other factors and variables that may go into finding your rate. From the client needing image rights to having you travel somewhere to a speedy turn around or exclusivity. We hope this guide helps you navigate pricing yourself and your business. Never be afraid to ask for what your time, platform and influence is worth.